In response to requests from readers we have implemented citation help. This makes it easy to create external links to pages or generate citations on Figures of Speech. At the bottom of each page there is now a button labelled 'Cite'. A click on this will write the absolute URL of the page, the date and time of its creation and the page title into the text field directly underneath. Select and copy the text, then paste as required. That's it. On the scrapbook pages, the individual entries can be referenced using their unique IDs. These IDs are simply the letters of the alphabet, starting at 'a' with the first (lowest) entry. The ID of the current entry, for example, is 'c' – it can therefore be referenced directly by adding '#c' to the end of the URL, i.e. 'http://figures-of-speech.com/2019/02/scrapbook.htm#c'. 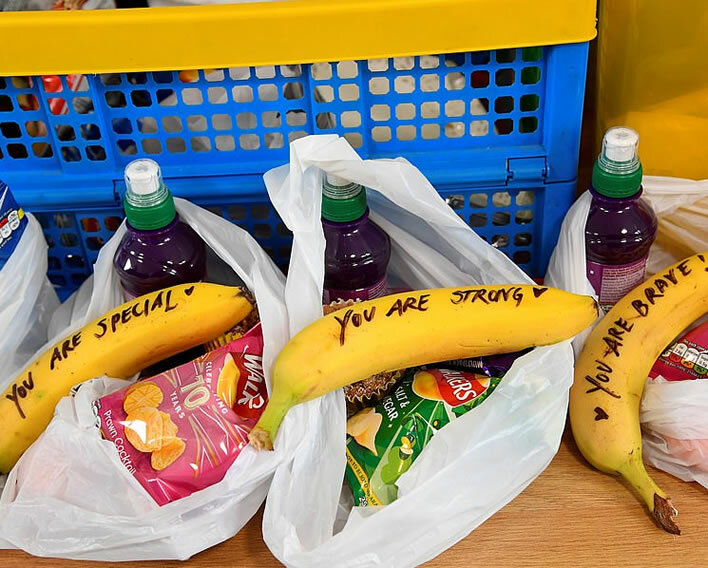 One banned disposable plastic bag containing: one banana with handwritten motivational message from the Duchess of Sussex; one sugary drink in plastic bottle; one packet of Walkers Prawn Cocktail crisps in plastic packet. Transported in a plastic crate. Her father-in-law and his nice friend Sir David Attenborough really need to have a word with the girl about all the dolphins she is about to kill. Her heart's in the right place though. The Duchess herself prefers more down to earth fare. 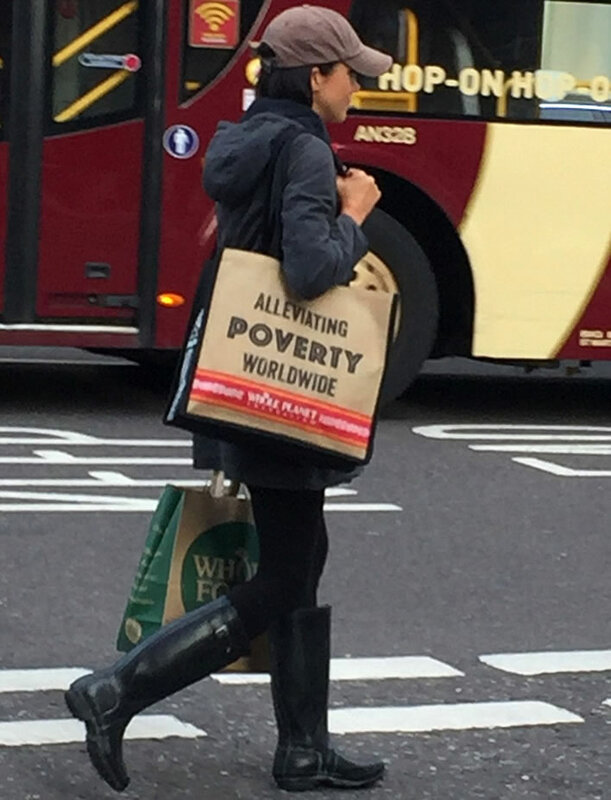 Here she is, still a commoner, on the way back to Kensington Palace, loaded down with cheap and tasty wholefood products for her prince, doing her bit to 'alleviate poverty worldwide'. There's probably a packet of Waitrose Duchy Organic Original Oaten Biscuits in those nice paper bags. At £2.20 for a 150g packet, they cost more than the entire bag of treats a prostitute sexworker gets. Readers will have noticed that most large websites now use the 'https protocol' and that smaller sites – especially those who use large blogging platforms such as Wordpress – are beginning to follow suit. This trend is being forced by a whispered hint from Google that when ranking a website its search engine gives some unspecified advantage to websites using the https protocol. Some browsers now warn visitors when displaying sites that still use the http protocol that the site is 'insecure'. In essence, the https protocol encrypts all communications between the server (the website) and the client (your browser). In contrast, the http protocol uses clear text for such communications. 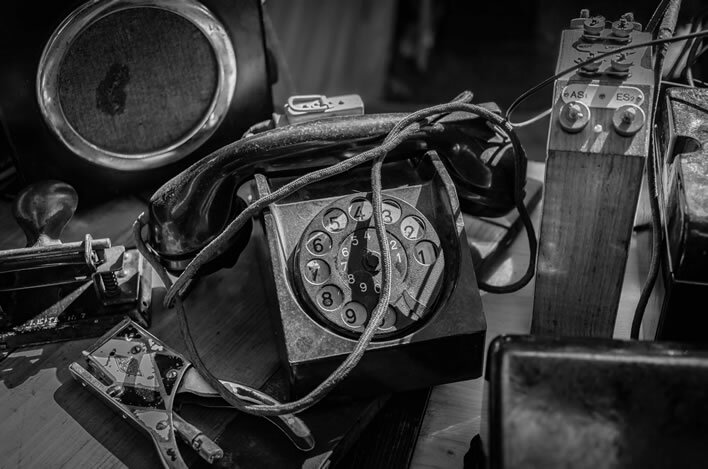 For commerce websites and websites taking comments, the encryption of such communications is a very good thing. But for websites such as Figures of Speech , which simply serve up passive HTML pages to your browser, the https protocol offers no advantages at all, just the disadvantages of the added costs of installing, maintaining and renewing certificates on the server. In our case this would considerably increase the hosting costs of the site. Also, if a certificate is not renewed in a timely fashion the entire site becomes unreachable. So, at the moment, not something for us incompetents. Inside the Figures of Speech website: if it's not bust, don't fix it. Image: Wendy Scofield/Unsplash. We shall review this issue from time to time. If we ever decide to adopt the https protocol, users will get plenty of notice even though they will have to do nothing. Unless, of course, we mess up completely, in which case … (another good reason for not doing it in the first place).